April 2013 felt like the winter that wouldn't end. When it snows on April 23rd, that isn't exactly normal and when the snow falls in great quantities -- six inches in this case -- branches and entire trees come down under the weight of the heavy and wet snow. 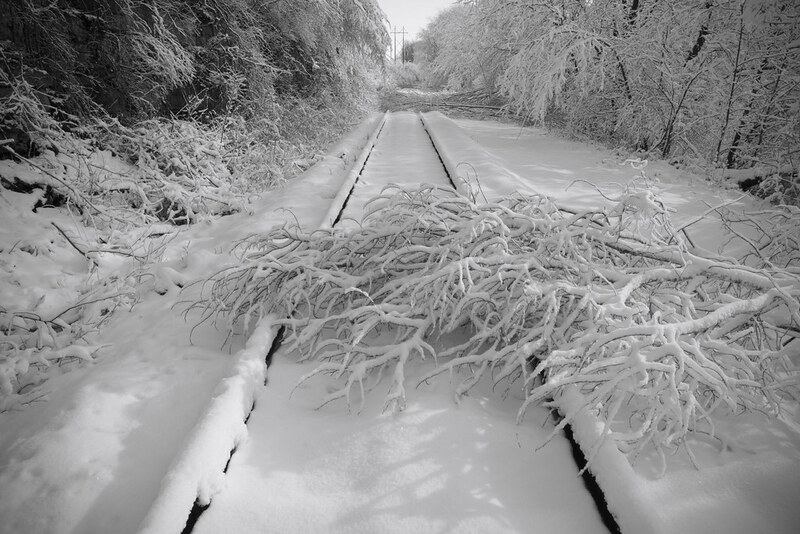 These railroad tracks near Northfield, MN likely remained impassable for at least a few days while the fallen branches and trees were removed.